On Wednesday the 10th of October we were delighted to welcome two groups Lundavra Primary School into our Visitor Centre. The children are learning about tourism in the local area and were shown our people counter. The graphs that we displayed from the counts of 2017 and 2018 showed our busiest month as being August. 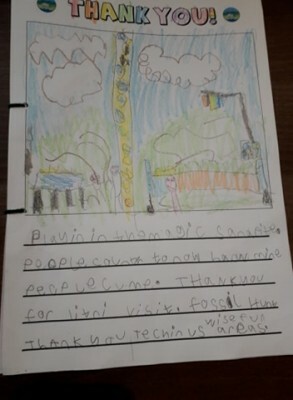 The children learnt about what visitors ask us, such as “Where is Ben Nevis? How do we get up Ben Nevis? Where is the nearest toilet?”. 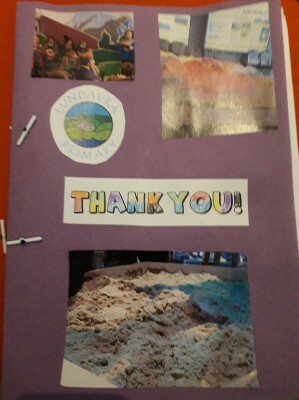 They thought about what the Geopark provided visitors with that nowhere else in the High Street does and some of the answers were “places for kids to play” and “a look at the local landscape in a different way“, one of the children even knew all about the minerals in the Strontian mine. 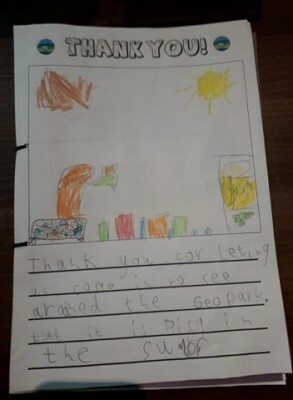 Thank you for the coming to visit us and the lovely drawings. We welcome visitors anytime and it was great to see you all enjoy using the isandbox!